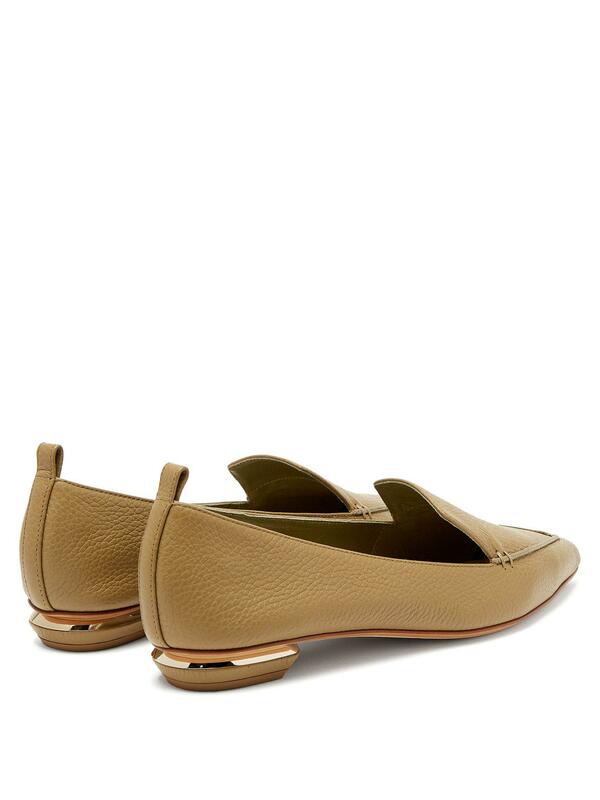 See more Nicholas Kirkwood Loafers and moccasins. 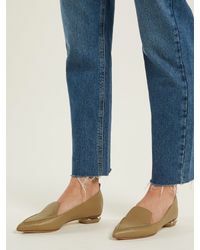 We check over 450 stores daily and we last saw this product for $506 at MATCHESFASHION.COM. 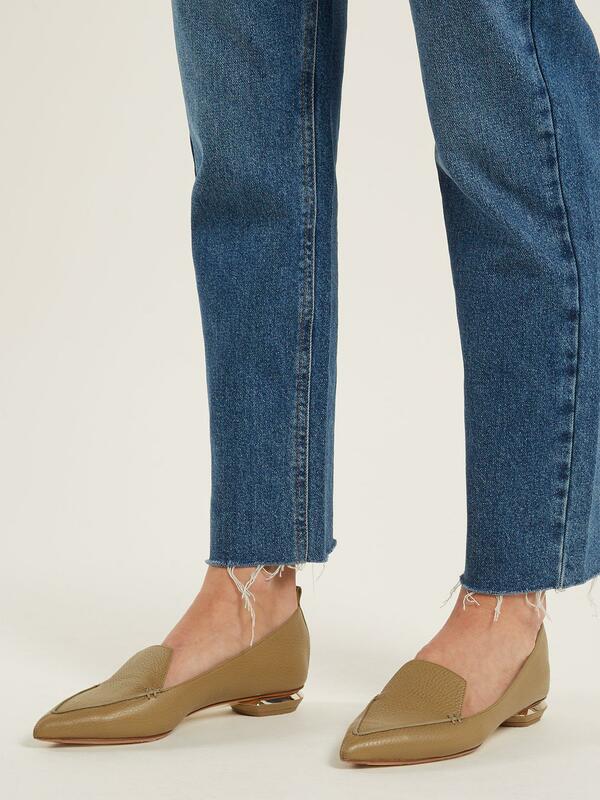 Nicholas kirkwood's beya loafers arrive in a khaki-green hue for aw18. 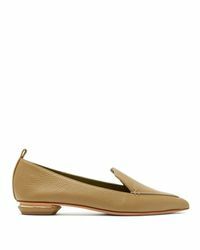 Made in italy in tactile grained leather to a sleek point-toe shape, they feature a notched vamp that's been hand-stitched while the back reveals a gleaming light gold-tone metal and leather-covered signature small heel. 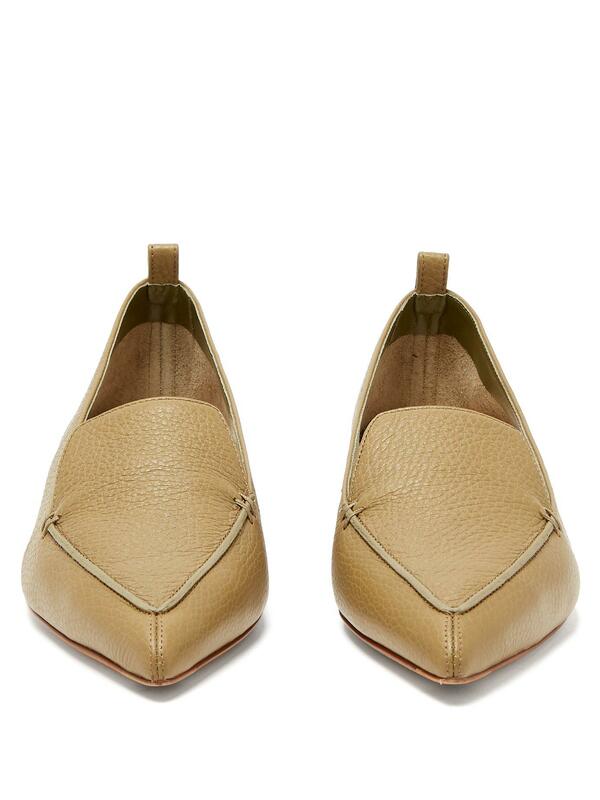 Consider them as a chic anchor for ankle-baring jeans.